“We called the police because she wrecked her room and hit her mom… all because we took her phone,” Kelly’s father explained. He said that when the police arrived that evening, Kelly was distraught and told an officer that she wanted to kill herself. So an ambulance was called, and the 15-year-old was strapped to a gurney, taken to a psychiatric hospital, and monitored for safety before being released. Days after being hospitalized, Kelly was brought to my office by her parents who wanted to get help for their troubled girl. Kelly’s parents spoke first. They said that their daughter’s hospitalization was the culmination of a yearlong downward spiral spurred by her phone obsession. Kelly had been refusing to spend time with her family or focus on school. Instead, she favored living her life on social media. A previously happy girl and strong student, Kelly had grown angry, sullen, and was now bringing home report cards with sinking grades. Kelly’s parents had tried many times in prior months to set limits on their daughter’s phone use, but she had become increasingly defiant and deceitful, even sneaking on her phone at all hours of the night. When Kelly’s latest report card revealed a number of failing grades, her parents felt compelled to act. They told Kelly early in the afternoon on the day the police were called that she would need to turn in her phone by 9 p.m. But when the time came, Kelly refused, and a pushing match ensued between her and her parents, concluding in the violent tantrum that led the girl to be hospitalized. I asked Kelly, who was sitting in a corner, to help me understand her perspective on that evening. She didn’t respond and instead glared at her parents. But then, surprising everyone in the room, she cried, “They took my f***ing phone!” Attempting to engage Kelly in conversation, I asked her what she liked about her phone and social media. “They make me happy,” she replied. As Kelly and her family continued their appointments with me in the coming months, two concerns dominated our meetings. The first was that Kelly’s unhealthy attachment to her phone continued, causing almost constant tension at home. The second concern emerged during my meetings with Kelly’s parents alone. Even though they were loving and involved parents, Kelly’s mom couldn’t help feeling that they’d failed their daughter and must have done something terribly wrong that led to her problems. My practice as a child and adolescent psychologist is filled with families like Kelly’s. These parents say their kids’ extreme overuse of phones, video games, and social media is the most difficult parenting issue they face — and, in many cases, is tearing the family apart. Preteen and teen girls refuse to get off their phones, even though it’s remarkably clear that the devices are making them miserable. I also see far too many boys whose gaming obsessions lead them to forgo interest in school, extracurricular activities, and anything else productive. Some of these boys, as they reach their later teens, use their large bodies to terrorize parents who attempt to set gaming limits. A common thread running through many of these cases is parent guilt, as so many are certain they did something to put their kids on a destructive path. What none of these parents understand is that their children’s and teens’ destructive obsession with technology is the predictable consequence of a virtually unrecognized merger between the tech industry and psychology. This alliance pairs the consumer tech industry’s immense wealth with the most sophisticated psychological research, making it possible to develop social media, video games, and phones with drug-like power to seduce young users. These parents have no idea that lurking behind their kids’ screens and phones are a multitude of psychologists, neuroscientists, and social science experts who use their knowledge of psychological vulnerabilities to devise products that capture kids’ attention for the sake of industry profit. What these parents and most of the world have yet to grasp is that psychology — a discipline that we associate with healing — is now being used as a weapon against children. While Fogg emphasizes persuasive design’s sunny future, he is quite indifferent to the disturbing reality now: that hidden influence techniques are being used by the tech industry to hook and exploit users for profit. His enthusiastic vision also conveniently neglects to include how this generation of children and teens, with their highly malleable minds, is being manipulated and hurt by forces unseen. If you haven’t heard of persuasive technology, that’s no accident — tech corporations would prefer it to remain in the shadows, as most of us don’t want to be controlled and have a special aversion to kids being manipulated for profit. Persuasive technology (also called persuasive design) works by deliberately creating digital environments that users feel fulfill their basic human drives — to be social or obtain goals — better than real-world alternatives. Kids spend countless hours in social media and video game environments in pursuit of likes, “friends,” game points, and levels — because it’s stimulating, they believe that this makes them happy and successful, and they find it easier than doing the difficult but developmentally important activities of childhood. While persuasion techniques work well on adults, they are particularly effective at influencing the still-maturing child and teen brain. “Video games, better than anything else in our culture, deliver rewards to people, especially teenage boys,” says Fogg. “Teenage boys are wired to seek competency. To master our world and get better at stuff. Video games, in dishing out rewards, can convey to people that their competency is growing, you can get better at something second by second.” And it’s persuasive design that’s helped convince this generation of boys they are gaining “competency” by spending countless hours on game sites, when the sad reality is they are locked away in their rooms gaming, ignoring school, and not developing the real-world competencies that colleges and employers demand. UX designers come from many disciplines, including psychology as well as brain and computer sciences. However, the core of some UX research is about using psychology to take advantage of our human vulnerabilities. That’s particularly pernicious when the targets are children. As Fogg is quoted in Kosner’s Forbes article, “Facebook, Twitter, Google, you name it, these companies have been using computers to influence our behavior.” However, the driving force behind behavior change isn’t computers. “The missing link isn’t the technology, it’s psychology,” says Fogg. UX researchers not only often follow Fogg’s design model, but some may also share his apparent tendency to overlook the broader implications of persuasive design. They focus on the task at hand, building digital machines and apps that better demand users’ attention, compel users to return again and again, and grow businesses’ bottom line. Less considered can be how the world’s children are affected by thousands of UX designers working simultaneously to pull them onto a multitude of digital devices and products at the expense of real life. According to B.J. Fogg, the “Fogg Behavior Model” is a well-tested method to change behavior and, in its simplified form, involves three primary factors: motivation, ability, and triggers. Describing how his formula is effective at getting people to use a social network, the psychologist says in an academic paper that a key motivator is users’ desire for “social acceptance,” although he says an even more powerful motivator is the desire “to avoid being socially rejected.” Regarding ability, Fogg suggests that digital products should be made so that users don’t have to “think hard.” Hence, social networks are designed for ease of use. Finally, Fogg says that potential users need to be triggered to use a site. This is accomplished by a myriad of digital tricks, including the sending of incessant notifications urging users to view friends’ pictures, telling them they are missing out while not on the social network, or suggesting that they check — yet again — to see if anyone liked their post or photo. Fogg’s formula is the blueprint for building multibillion dollar social media and gaming companies. However, moral questions about the impact of turning persuasive techniques on children and teens are not being asked. For example, should the fear of social rejection be used to compel kids to compulsively use social media? Is it okay to lure kids away from school tasks that demand a strong mental effort so they can spend their lives on social networks or playing video games that don’t make them think much at all? And is it okay to incessantly trigger kids to use revenue-producing digital products at the expense of engaging with family and other important real-life activities? Ramsay Brown, the founder of Dopamine Labs, says in a KQED Science article, “We have now developed a rigorous technology of the human mind, and that is both exciting and terrifying. We have the ability to twiddle some knobs in a machine learning dashboard we build, and around the world hundreds of thousands of people are going to quietly change their behavior in ways that, unbeknownst to them, feel second-nature but are really by design.” Programmers call this “brain hacking,” as it compels users to spend more time on sites even though they mistakenly believe it’s strictly due to their own conscious choices. Social networks and video games use the trusted brain-manipulation technique of variable reward (think slot machine). Users never know when they will get the next “like” or game reward, and it’s delivered at the perfect time to foster maximal stimulation and keep them on the site. Banks of computers employ AI to “learn” which of a countless number of persuasive design elements will keep users hooked. A persuasion profile of a particular user’s unique vulnerabilities is developed in real time and exploited to keep users on the site and make them return again and again for longer periods of time. This drives up profits for consumer internet companies whose revenue is based on how much their products are used. There are few industries as cutthroat and unregulated as Silicon Valley. Social media and video game companies believe they are compelled to use persuasive technology in the arms race for attention, profits, and survival. Children’s well-being is not part of the decision calculus. Persuasive technology’s use of digital media to target children, deploying the weapon of psychological manipulation at just the right moment, is what makes it so powerful. These design techniques provide tech corporations a window into kids’ hearts and minds to measure their particular vulnerabilities, which can then be used to control their behavior as consumers. This isn’t some strange future… this is now. Facebook claimed the leaked report was misrepresented in the press. But when child advocates called on the social network to release it, the company refused to do so, preferring to keep the techniques it uses to influence kids shrouded in secrecy. This is a major effect of persuasive design today: building video games and social media products so compelling that they pull users away from the real world to spend their lives in for-profit domains. But to engage in a pursuit at the expense of important real-world activities is a core element of addiction. And there is increasing evidence that persuasive design has now become so potent that it is capable of contributing to video game and internet addictions — diagnoses that are officially recognized in China, South Korea, and Japan, and which are under consideration in the U.S. The creation of digital products with drug-like effects that are able to “pull a person away” from engaging in real-life activities is the reason why persuasive technology is profoundly destructive. Today, persuasive design is likely distracting adults from driving safely, productive work, and engaging with their own children — all matters which need urgent attention. Still, because the child and adolescent brain is more easily controlled than the adult mind, the use of persuasive design is having a much more hurtful impact on kids. Persuasive technologies are reshaping childhood, luring kids away from family and schoolwork to spend more and more of their lives sitting before screens and phones. According to a Kaiser Family Foundation report, younger U.S. children now spend 5 ½ hours each day with entertainment technologies, including video games, social media, and online videos. Even more, the average teen now spends an incredible 8 hours each day playing with screens and phones. Productive uses of technology — where persuasive design is much less a factor — are almost an afterthought, as U.S. kids only spend 16 minutes each day using the computer at home for school. Quietly, using screens and phones for entertainment has become thedominant activity of childhood. Younger kids spend more time engaging with entertainment screens than they do in school, and teens spend even more time playing with screens and phones than they do sleeping. The result is apparent in restaurants, the car sitting next to you at the stoplight, and even many classrooms: Attesting to the success of persuasive technology, kids are so taken with their phones and other devices that they have turned their backs to the world around them. Hiding in bedrooms on devices, or consumed by their phones in the presence of family, many children are missing out on real-life engagement with family and school — the two cornerstones of childhood that lead them to grow up happy and successful. Even during the few moments kids have away from their devices, they are often preoccupied with one thought: getting back on them. In addition to the displacement of healthy childhood activities, persuasive technologies are pulling kids into often toxic digital environments. A too frequent experience for many is being cyberbullied, which increases their risk of skipping school and considering suicide. And there is growing recognition of the negative impact of FOMO, or the fear of missing out, as kids spend their social media lives watching a parade of peers who look to be having a great time without them, feeding their feelings of loneliness and being less than. The combined effects of the displacement of vital childhood activities and exposure to unhealthy online environments is wrecking a generation. In her recent Atlantic article, “Have Smartphones Destroyed a Generation?,” Dr. Jean Twenge, a professor of psychology at San Diego State University, describes how long hours spent on smartphones and social media are driving teen girls in the U.S. to experience high rates of depression and suicidal behaviors. And as the typical age when kids get their first smartphone has fallen to 10, it’s no surprise to see serious psychiatric problems — once the domain of teens — now enveloping young kids. 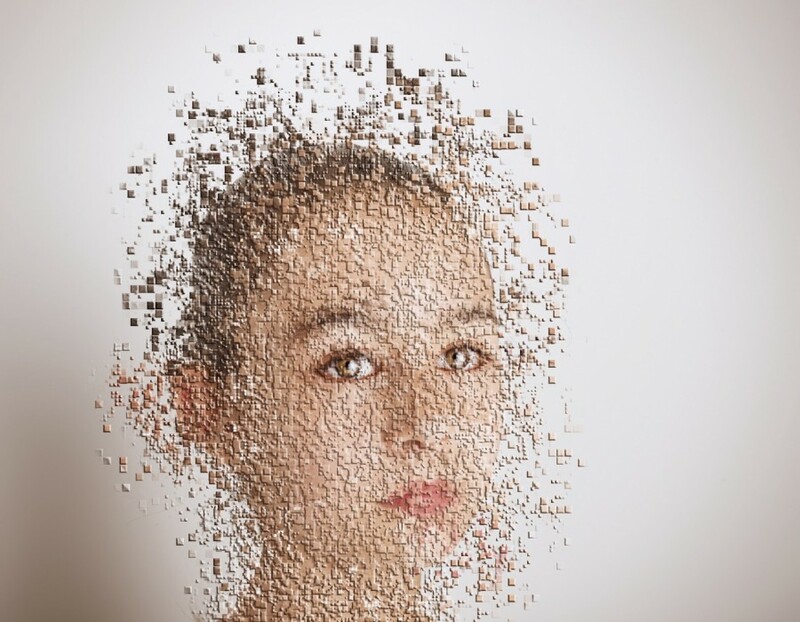 Self-inflicted injuries, such as cutting, that are serious enough to require treatment in an emergency room, have increased dramatically in 10- to 14-year-old girls, up 19% per year since 2009. While girls are pulled onto smartphones and social media, boys are more likely to be seduced into the world of video gaming, often at the expense of a focus on school. High amounts of gaming are linked to lower grades, so with boys gaming more than girls, it’s no surprise to see this generation of boys struggling to make it to college: a full 57% of college admissions are granted to young women compared with only 43% to young men. And, as boys transition to manhood, they can’t shake their gaming habits. Economists working with the National Bureau of Economic Research recently demonstrated how many young U.S. men are choosing to play video games rather than join the workforce. As a child and adolescent psychologist myself, the inevitable conclusion is both embarrassing and heartbreaking. The destructive forces of psychology deployed by the tech industry are making a greater impact on kids than the positive uses of psychology by mental health providers and child advocates. Put plainly, the science of psychology is hurting kids more than helping them. Marc Benioff, CEO of the cloud computing company Salesforce, is one of the voices calling for the regulation of social media companies because of their potential to addict children. He says that just as the cigarette industry has been regulated, so too should social media companies. “I think that, for sure, technology has addictive qualities that we have to address, and that product designers are working to make those products more addictive, and we need to rein that back as much as possible,” Benioff told CNBC in January, 2018, while in Davos, Switzerland, site of the World Economic Forum. Benioff says that parents should do their part to limit their kids’ devices, yet expressed, “If there’s an unfair advantage or things that are out there that are not understood by parents, then the government’s got to come forward and illuminate that.” Since millions of parents, for example the parents of my patient Kelly, have absolutely no idea that devices are used to hijack their children’s minds and lives, regulation of such practices is the right thing to do. Facebook’s narrow-minded vision of childhood is reflective of how out of touch the social network and other consumer tech companies are with the needs of an increasingly troubled generation. The most “exciting thing” for young children should be spending time with family, playing outside, engaging in creative play, and other vital developmental experiences — not being drawn into the social media vortex on phones or tablets. Moreover, Facebook Messenger Kids is giving an early start to the wired life on social media that we know poses risks of depression and suicide-related behavior for older children. In response to the release of Facebook’s Messenger Kids, the Campaign for a Commercial-Free Childhood (CCFC) sent Facebook a letter signed by numerous health advocates calling on the company to pull the plug on the app. Facebook has yet to respond to the letter and instead continues to aggressively market Messenger Kids for young children. While tech execs and investors are speaking out against the tech industry’s psychological manipulation of children, the American Psychological Association (APA) — which is tasked with protecting children and families from harmful psychological practices — has been essentially silent on the matter. This is not suggestive of malice; instead, the APA leadership — much like parents — is likely unaware of the tech industry’s distorted use of psychology. Nonetheless, there is irony, as psychologists and their powerful tools are guided by ethics, while tech execs and investors are not. Manipulating children for profit without their own or parents’ consent, and driving kids to spend more time on devices that contribute to emotional and academic problems is the embodiment of unethical psychological practice. Silicon Valley corporations and the investment firms that support them are heavily populated by highly privileged white men who use concealed mind-bending techniques to control the lives of defenseless kids. Addressing this inequity is Tristan Harris, who says, “Never before in history have basically 50 mostly men, mostly 20–35, mostly white engineer designer types within 50 miles of where we are right now [Silicon Valley], had control of what a billion people think and do.” Harris was recounting an excerpt of a presentation he made while at Google during an interview with journalist Kara Swisher for Recode Decode in February of 2017. Some may argue that it’s the parents’ responsibility to protect their children from tech industry deception. However, parents have no idea of the powerful forces aligned against them, nor do they know how technologies are developed with drug-like effects to capture kids’ minds. Parents simply can’t protect their children or teens from something that’s concealed and unknown to them. Others will claim that nothing should be done because the intention behind persuasive design is to build better products, not manipulate kids. In fact, for those working in the user experience and persuasion fields, I’m sure there is no intent to harm children. The negative consequences of persuasive technology have been for the most part accidental, an unfortunate byproduct of an exceptionally competitive design process. However, similar circumstances exist in the cigarette industry, as tobacco companies have as their intention profiting from the sale of their product, not hurting children. Nonetheless, because cigarettes and persuasive design predictably harm children, actions should be taken to protect kids from their effects. Since its inception, the field of persuasive technology has operated in a moral vacuum. The resulting tragedy is not surprising. More recently, Fogg has actually acknowledged the ill effects of persuasive design. Interviewed by Ian Leslie in 2016 for The Economist’s 1843 Magazine, Fogg says, “I look at some of my former students and I wonder if they’re really trying to make the world better, or just make money.” And in 2017 when Fogg was interviewed by 032c Magazine, he acknowledged, “You look around the restaurants and pretty much everyone has their phone on the table and they’re just being constantly drawn away from the live face-to-face interaction — I do think that’s a bad thing.” Nonetheless, Fogg hasn’t taken meaningful action to help those hurt by the field he fathered. Nor have those in positions of power, with the recent exception of tech execs coming forward, done anything to limit the manipulative and coercive use of digital machines against children and teens. So, how can children be protected from the tech industry’s use of persuasive design? I suggest turning to President John F. Kennedy’s prescient guidance: He said that technology “has no conscience of its own. Whether it will become a force for good or ill depends on man.” I believe that the psychology profession, with its understanding of the mind and ethics code as guidance, can step forward to become a conscience guiding how tech corporations interact with children and teens. The APA should begin by demanding that the tech industry’s behavioral manipulation techniques be brought out of the shadows and exposed to the light of public awareness. Changes should be made in the APA’s Ethics Code to specifically prevent psychologists from manipulating children using digital machines, especially if such influence is known to pose risks to their well-being. Moreover, the APA should follow its Ethical Standards by making strong efforts to correct the misuse of psychological persuasion by the tech industry and by user experience designers outside the field of psychology. There is more the psychology profession can and should do to protect children and rectify the harm being done to kids. It should join with tech executives who are demanding that persuasive design in kids’ tech products be regulated. The APA also should make its powerful voice heard amongst the growing chorus calling out tech companies that intentionally exploit children’s vulnerabilities. And the APA must make stronger and bolder efforts to educate parents, schools, and fellow child advocates about the harms of kids’ overuse of digital devices. With each passing day, new and more influential persuasive technologies are being deployed to better take advantage of children’s and teens’ inherent limitations. The psychology profession must insist in this new age that its tools be used to improve rather than hinder children’s health and well-being. By making a strong statement against the exploitive use of persuasive design, the APA and the psychology profession can help provide the conscience needed to guide us in this age of dangerously powerful digital machines. Where did you get your protein?